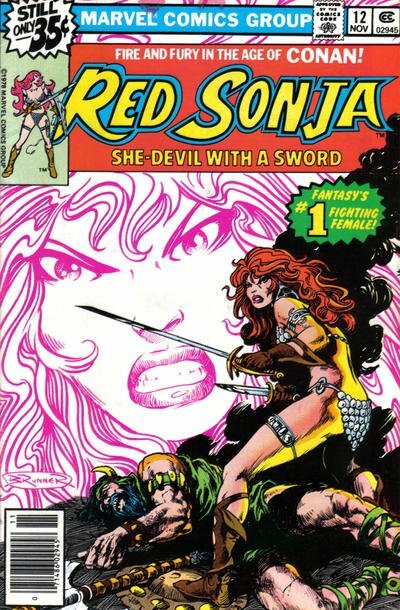 Click Here To See Red Sonja #12 Comic Book! Check out this very nice 1978 Red Sonja 1/2 SPLASH page, which was penciled by the great John Buscema, and inked by the great Joe Rubinstein, from the story titled: "Ashes and Emblems!" This nice 1/2 SPLASH page features Red Sonja in EVERY PANEL as she battle a giant weed monster! A great opportunity here to own a nice FIRST SERIES Red Sonja battle page!